I am interested in receiving more information about the Virtual Lender Enterprise system. Please contact me. 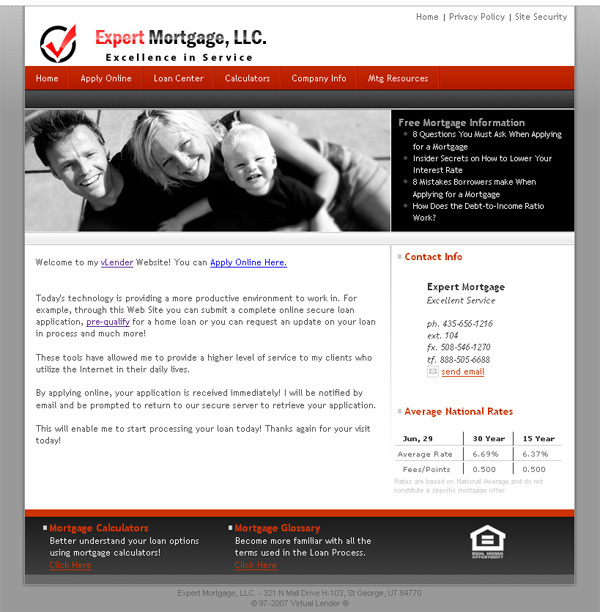 The most advanced web distribution utility available to the mortgage industry. Provides a complete website solution for the company domain plus individual website solutions for each branch office or loan originator. Our advanced online lending platform automatically publishes all distributed sites and provides advanced branding, web management and reporting through the Enterprise Dashboard. From the Enterprise Dashboard the administrator can configure loan originator/branch website features and branding styles while restricting or allowing forced content that is compliant and standard to the loan originator websites to assure compliance. The administrator can also aggregate and manage pipeline for distribution to centralized processing for both the secure express and 1003 loan originator site applications while monitoring website activity. With the click of a button the administrator can add and remove additional loan originators to respond to market and company changes. Automatically Publishes full content branded websites for the Loan Originator, which dramatically increases LO effectiveness. Includes a complete website solution for Corporate which eliminates the need to operate multiple websites or maintain an old website. Is scalable to unlimited number of branch offices or LO sites. 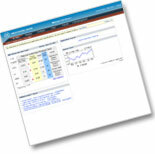 Is completely automated and managed from one simple interface. Can be licensed to leverage costs by sharing fees with the LO. 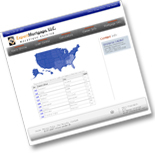 Has been proven over 10 years and is currently used by some of the largest mortgage companies nationwide. Runs on Linux/Apache architecture, with advanced hardware, redundancy, located in a highly advanced, secure Hard Noc facility, which meets strict compliance guidelines for safety and security. 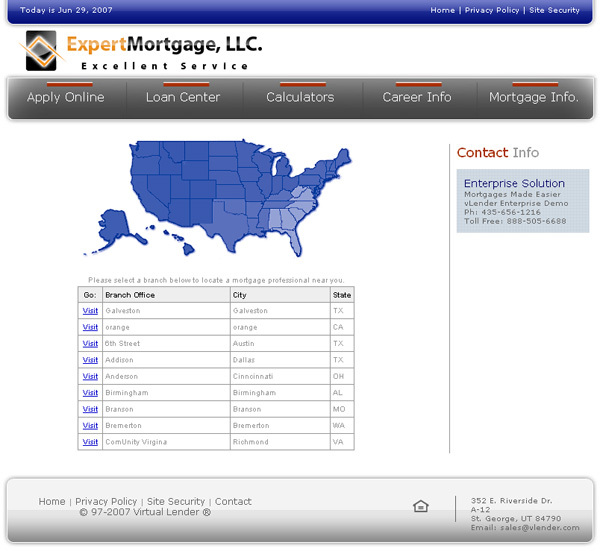 Can be integrated seamlessly into an existing corporate website as a mortgage module. This is particularly popular with our banking and credit union clients. Is GLB compliant and meets requirements for SAS-70 Standards. 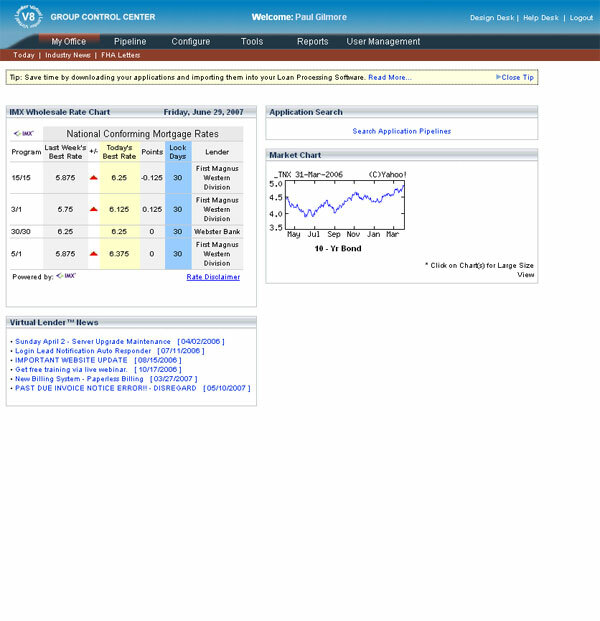 Imports all customer data via secure Fannie Mae data standards (.FNM). Eliminates Channel Conflict with the loan originator and company website by driving borrowers to the originator through the company site. Gives the loan originator the ability to have their own domain name and website to market in their local community and capture opportunities that they source directly with their customers and prospects online. 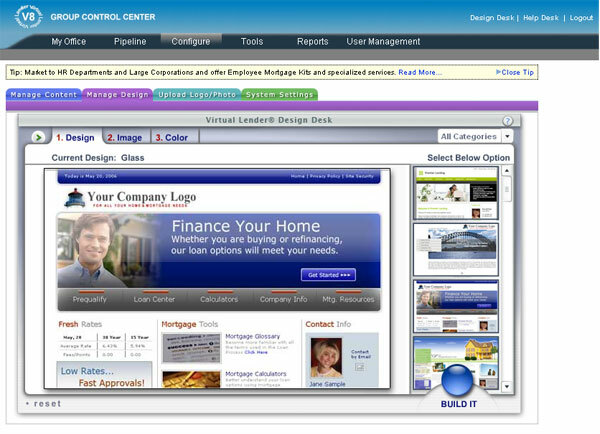 The functionality and automation of the Virtual lender® Enterprise has been designed to save your company thousands of dollars by eliminating many of the traditional development and administration costs and most important, you will not have to pay those hidden extra fees charged by other web design companies to make changes after your site has been published. With the Virtual Lender® Enterprise, you are in complete control. 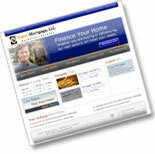 Included with the Virtual Lender Enterprise System is a complete Virtual Lender Primary website. This website can serve as your company website with all the features and functionality of the Virtual Lender Originator. 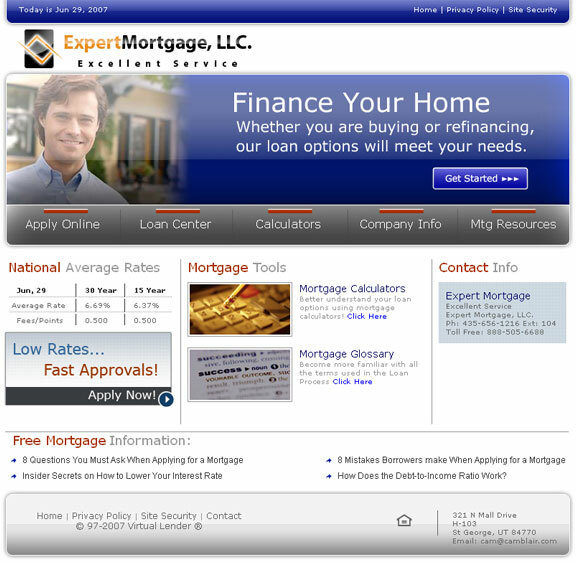 The only exception is that the Apply Online page is replaced with the Loan Officer Search Page. Eliminate Channel Conflict by not directly competing with your loan originators. Empower them! 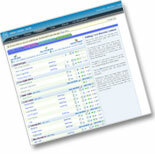 With the Enterprise system, each loan originator in your company may set up their own individual Virtual Lender Originator website within your Enterprise environment and their personal web site will automatically be built with your company quality control design and content standards that you have set up within your Enterprise Dashboard (Group Control Center). With the Enterprise Dashboard, you are in control. The Enterprise Dashboard is a centralized control panel to manage your Enterprise System, configure content, web design, privacy policies, loan officer search engine, pipeline reports, centralized processing distribution point and much more. 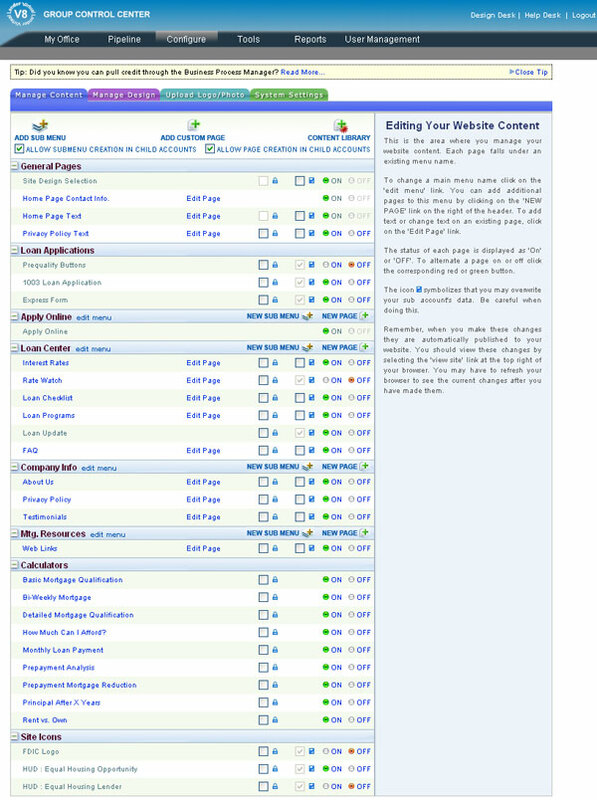 Choose from hundreds of interchangeable site layout, image and color combinations. The design desk gives you the flexibility to instantly modify your design at no additional cost or time to you. We hear that this is a fun tool! Over 1,000 Design Combinations to select from. 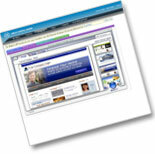 Change your site layout, look, and feel everyday of the year with only a click of the mouse! Each design is engineered to be interchangeable with your features, menus and text. 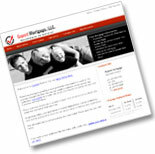 Choosing the features you want your loan officer websites to have access to has never been easier. After setup of your Enterprise System, you can log into your Enterprise Dashboard (Control Panel) and turn many website features "on and off". You can choose which calculators you want the borrowers to see when visiting your loan officer websites and also which applications or pages you want the borrowers to use. It is as simple as turning on a light switch! 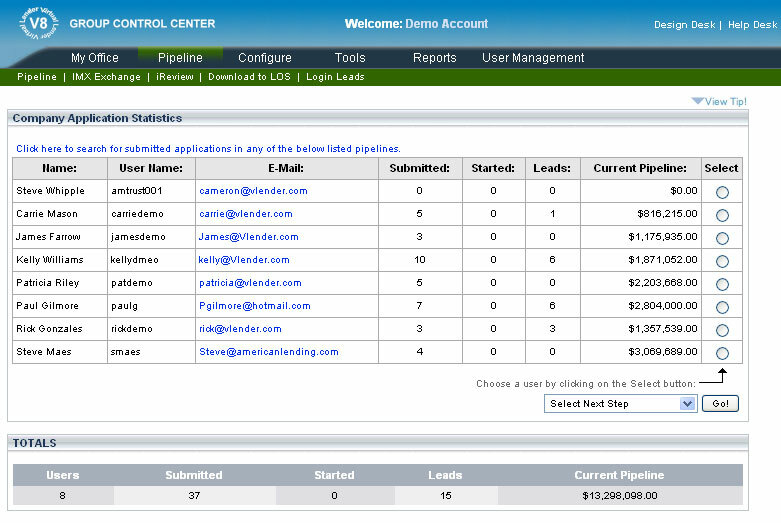 Manage your submitted online loan applications with the Enterprise Pipeline Manager. 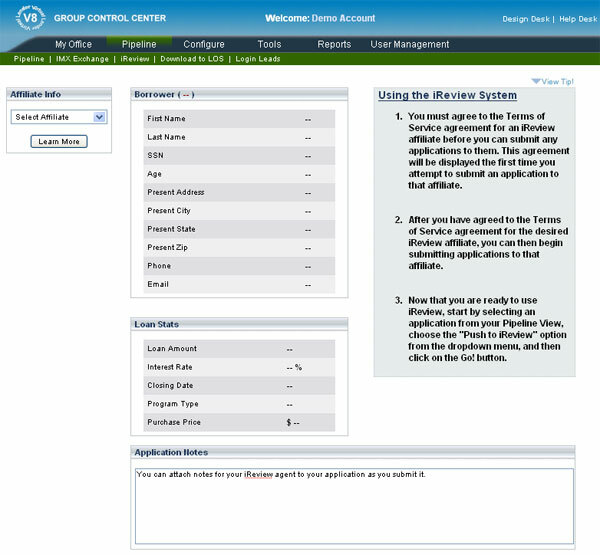 This tool will provide you instant access to the individual pipelines of your loan originators associated with the Virtual Lender Enterprise System and will allow you to edit, view, pull credit, price and download submitted online applications to your LOS all online from your Pipeline Manager. 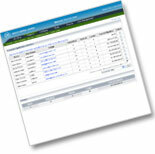 You can also move the loan file data into your Client for Life area and Loan Update areas. Support your loan originators and provide better customer service by by driving traffic from your main website to the loan originator. When a visitor lands on your company website they have the option of locating a branch or loan officer to work directly with. Depending on your configuration option, the borrower will be presented with a list of either the branch locations and loan officers based upon their selection criteria. This motivates loan originators and encourages them to market their own site online which leverages your marketing costs! 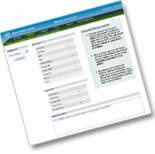 With the Loan Process Central (LPC) Plug-in, you have the ability to configure a special user interface that will allow you to designate a single internal loan processor, underwriter or contract processor to view and or download online borrower loan applications submitted by the loan originators Virtual Lender websites. If you have branch offices in multiple states but process from one location, all online loan applications can be downloaded to this single location LOS.